3 Solutions, 2 Functions, 1 Tripod for Amazing Videos and Photos Anywhere! 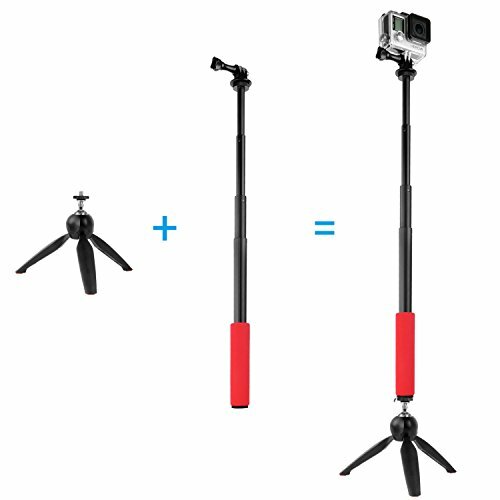 The CamKix premium 3in1 tripod is a tripod and hand grip in one. A compact and high quality solution to capture amazing videos and photos. 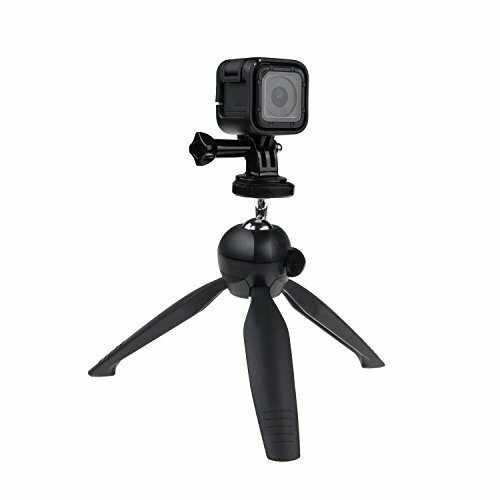 The tripod can be used with GoPro Hero 4, 3+, 3, ,2, 1, compact cameras and cell phones. Compact cameras can be attached directly to the tripod, while GoPro cameras can be attached via the GoPro mount provided, and cell phones can be mounted using the universal cell phone holder that expands from 2.95 inches to 3.93 inches. It features an extra strong and stable ball head locking system and the non skid rubber feet provide extra solid grip, even in a tilted position or on an uneven surface. 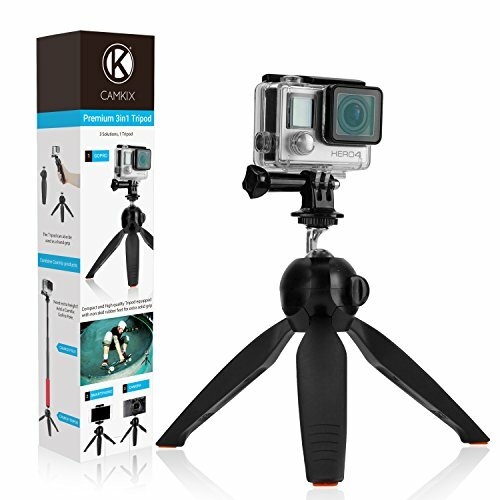 Perfect for shooting action sports footage from a fixed angle, but can also be used for timelapses or stop motion video. The tripod can also be used as a hand grip to make selfies or capture action footage on the go. If for any reason you are unhappy with any product by CamKix, please do not hesitate to contact us. We take full ownership and responsibility for the quality of our products and will do our very best to solve your problem quickly and efficiently! HIGH QUALITY TRIPOD AND HANDGRIP: Made from high quality materials to ensure that it keeps your camera safe and stable. 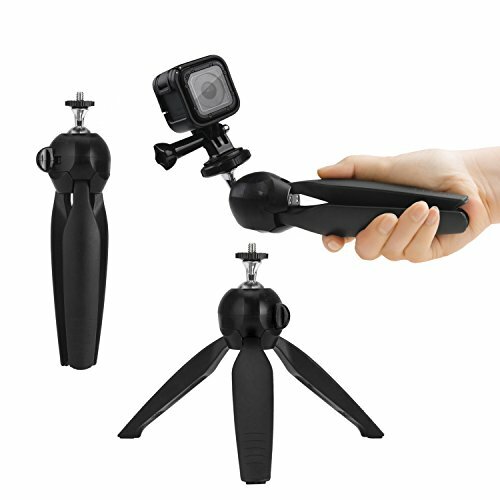 ONE PRODUCT, TWO FUNCTIONS, THREE SOLUTIONS: Perfect for shooting action sports footage from a fixed angle, but can also be used as a hand grip to shoot video or photos with your GoPro, compact camera or smartphone. 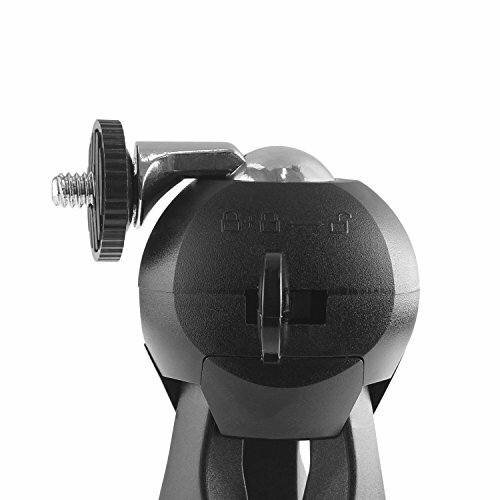 STRONG BALL SOCKET MOUNT AND NON SKID RUBBER FEET: The strong ball & socket mount with locking switch allows you to move your camera through 180 degrees and position it anywhere in between. 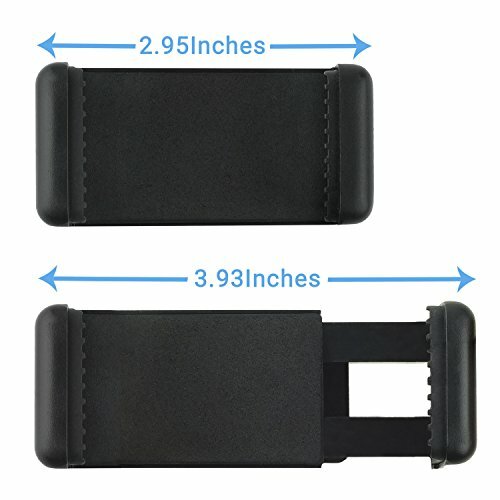 The non skid rubber feet provide extra solid grip even in a tilted position. The adjustable legs make positioning on uneven surfaces easy! 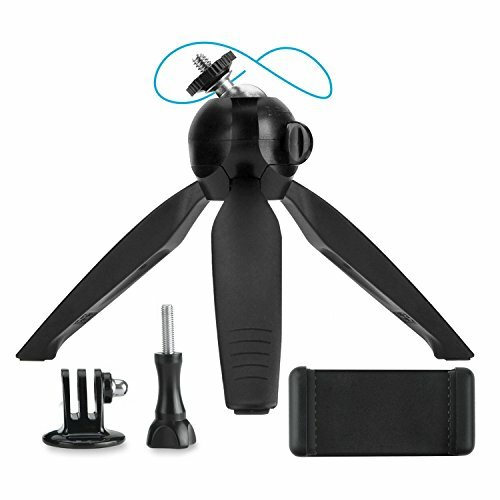 ALL IN ONE TRIPOD AND HAND GRIP FOR USE WITH GOPRO HERO, COMPACT CAMERAS AND CELL PHONES: Compact cameras can be attached directly to the tripod handgrip, while GoPro cameras can be attached using the GoPro mount and thumbscrew provided, and cell phones can be mounted using the universal cell phone holder.